Saturday afternoon noon, Bill & Mai Huei Shen invited their friends from the Senior ESL class over to their new house for a housewarming party. The house was built in the 1970s in the Berryessa, San Jose. The house has four bedrooms and a large kitchen, dining room, living room, and a formal and informal dining room. The party started at 3:30pm and most of the Senior Class visited the Shens in the late afternoon and early evening. Because teach SAT test preparation each Saturday from 9:30am-7:30pm, I arrived at the Shens' new home at 8pm. I really appreciated that some students stayed to welcome me to the Shens' new home. In the formal dining room, the Shens set up their shabu shabu table, and covered the table with many delicious meat, fish, tofu, vegetable, noodle, and rice dishes. There was so much food, that I was unable to taste every dish, because I would take a second serving of the delicious dish I just tasted. Everyone took home some leftovers to spare Mrs Shen the trouble of storing the food. 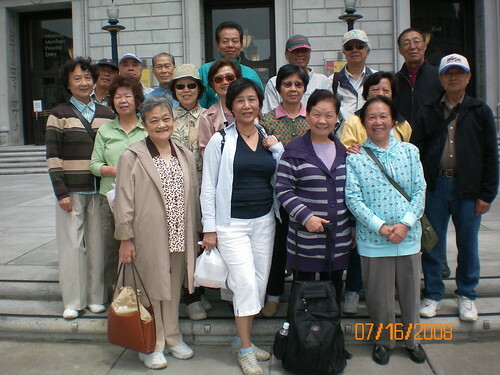 On Sunday, the Shens are going on a week-long tour of California with the classmates of Mrs. Shen's brother. They will visit Napa, Lake Tahoe, and Yosemite--a great trip! Maybe they will run into Peter & Yoo Moon in Reno. We really appreciate that the Shens hosted the first party of the school year--it was a lot of work (especially before going on a trip) and everyone had a good time. We hope that this housewarming truly makes their new house a "Sweet Home" for many years to come. Here is a copy of the story Mr & Mrs Chen's Labor Day. Listen to ESLPod's story in honor on Labor Day and unions: A Workers Strike. Check information about Labor Day closings & bus schedules. Read more details about the accident with the vodka truck. Arts, crafts and live entertainment with more than 350 booths. Aug. 30—31, 10am—6pm and Sep. 1, 10am—5pm; free. San Carlos and Santa Clara streets, San Jose. 408.494.3590. Explore local railroad history, see model railroads in action and give a hand car a try. Aug. 30— Sep. 1, 10am—4pm; $5—$8. Ardenwood Historic Farm, Fremont. 866.417.7277. Aug 31, evening; free with admission. Paramount's Great American, 4701 Great America Pkwy., Santa Clara. 408.986.1776, ext. 8858. Today we will read the Easy English Times. Here is a crossword puzzle for the the latest issue of edition. The featured story is a history of the Democratic and Republican parties and their conventions. Extra Credits: Never use this nickname for San Francisco______________. Double Extra Credit: What is the nickname for the Republican party? Welcome back! It's great to see everyone again! Mr and Mrs Lin have just returned from the Canadian Rockies. 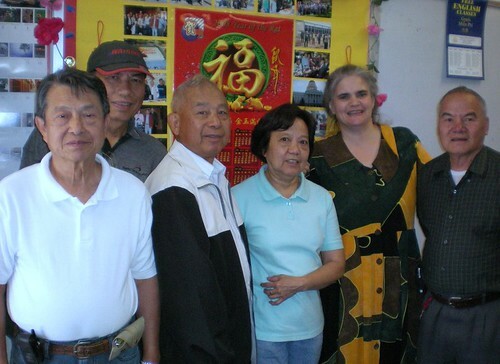 The Lins' neighbors, Chen Hsiao Ling and Chi Kuang Chien have joined the Class. 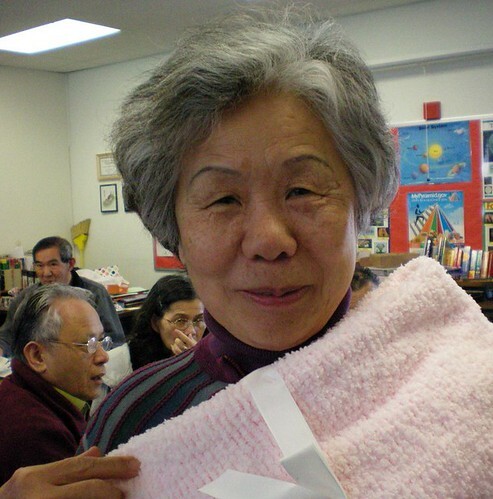 Fu Qisheng transferred from Teacher Tuyet's class. Mrs Song and Mrs Kim went on a cruise to Mexico and will return later this week. On Tuesday, Teacher Jennifer must leave at 9:45 to go to the USCIS and learn about the latest Citizenship news. Teacher Arezoo will be the substitute teacher. Tuesday's topic is meetings and greetings. We will read a story about a man meeting a woman who lives in the same apartment building. The man invites the woman to dinner. ESLPod 351 – Asking for a First Date Learn how to ask the woman of your dreams on a date. Monday, August 25 8:45am is the First Day of School. Daily Question: What did you do this summer? As the Beijing Olympics ends, it's time to go back to school! you can register on Monday, August 25--the first day of school. New people can test and register for Saturday school: Sat, Aug 23 9am-12 noon. Get ready for school by learning the English words for all the things you need for class in this episode. Thursday afternoon, I went to Milpitas Adult school to clean my classroom. While I was reorganizing the food, I found my long-lost video camera hiding in the chopsticks container. I was so happy! Here is my favorite video that was still in the camera. Enjoy! Question: Have you ever lost and found something that was very valuable? Sunday, August 24, 2008, 12:30 p.m. If you didn't come to school to register, don't worry--you can register on Monday, August 25--the first day of school. 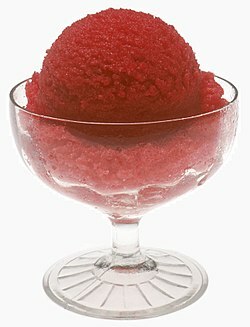 Extra: click here to read all the daily Olympic news stories from Simple English News. Saturday Students: Sat, Aug 23 9am-12 noon. From ESLPod Blog: Fast Food: We want our food, now! Monday, Aug 19 9am, the teacher gathed for our first meeting of the new year. Teacher Eiko returned from Japan last week; and on Sunday, Teacher Judy returned from Hawaii and Teacher Olga returned from Russia on Sunday. Dan talked about the new air conditioning system in Building 400. He said that the air conditioning might be ready on Wednesday. As soon as he said that, we hear a noise and felt cool air--the air conditioning system is ready! Dan also talked about the solar energy project. He said that is is the largest solar energy project for schools in the United States. The project is a little bit behind schedule because they need more steel. You can see steel skeleton of the first solar parking structure in front of the school. Be very careful when you walk from the parking lot. There are many large cracks in the walkway next to the swimming pool. After Dan spoke, the teachers planned testing and registration. After the meeting, we ate Judy's delicious salads. Then each of the teachers worked on preparing their rooms for the new school year. Night Students: Mon, Aug 18 6:00-9:30 pm--completed! 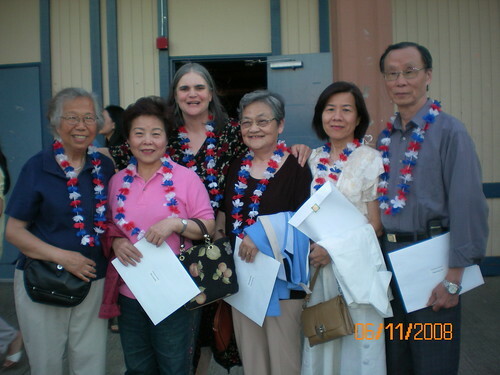 On Mon, Aug 18 6pm, the teacher gathered to register 102 new students for evening ESL and Citizenship classes. Some new students came late--they were told to come back Tuesday evening so that they could take the test. From ESLPod Blog: What is the common and polite way is to say that you have to go to the bathroom? Celebrate Milpitas! 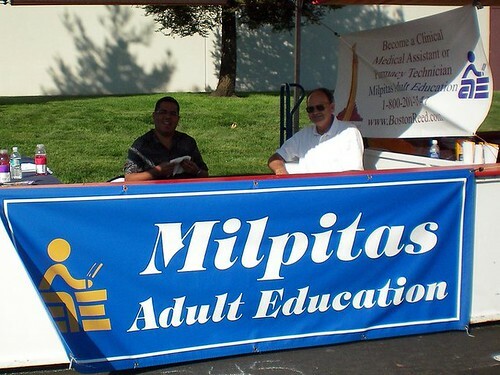 will be Saturday and Sunday, Aug. 16 and 17 from 10 a.m. to 6 p.m.
Come by Milpitas Adult School to say hello to the teachers. I will be there on Saturday 4:30-6pm. 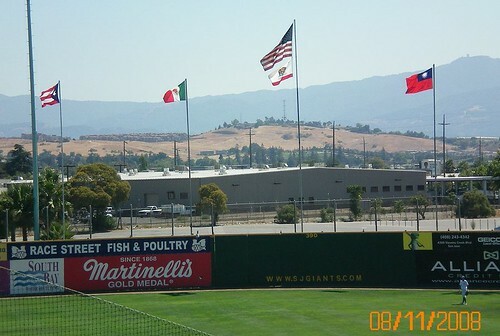 The location for Celebrate Milpitas! is South Milpitas Boulevard, between East Calaveras Boulevard and Turquoise Street about a block south of Milpitas City Hall. Celebrate Milpitas! is a yearly art, wine and cultural festival. 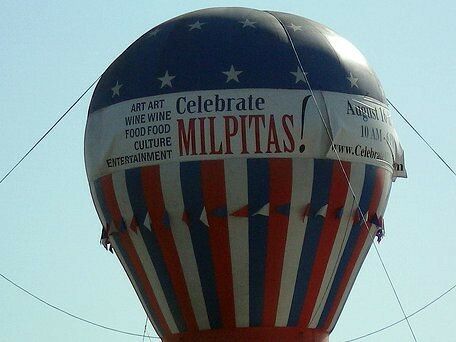 This year, Celebrate Milpitas! will be Saturday and Sunday, Aug. 16 and 17 from 10 a.m. to 6 p.m.
For more info, read Time to kick back, relax and enjoy Celebrate Milpitas! 1590 KLIV is a locally-owned AM radio station. KLIV broadcasts news stories about San Jose and Silicon Valley. If you don't understand a story--wait; KLIV repeats the same news story every fifteen minutes. KLIV has traffic and weather eight times per hour. At the "top" and "bottom" of the hour, KLIV broadcasts five minutes of nation and internation news from CNN. Here are the text of three news stories plus a link to a very short podcast about fresh fruits and vegetables. Criticism and protests have surrounded the Olympic games. Sunday evening, I went to see Chinese Tapei play in the semi-finals. Before the team went to bat, the coach would gather them together for a pep talk. CT won the semi-final game and advanced to the World Series. I came back on Monday afternoon with my nieces, nephew, and sister-in-law. It was their first baseball game. It was a beautiful California day. Here is a picture of the flags of the teams. 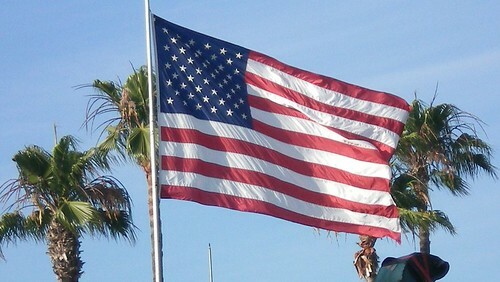 The US flag is in the middle and the California flag is under it. On the far left is the flag of Puerto Rico, a US territory. Mexico's flag is between the flags of Puerto Rico and the US. 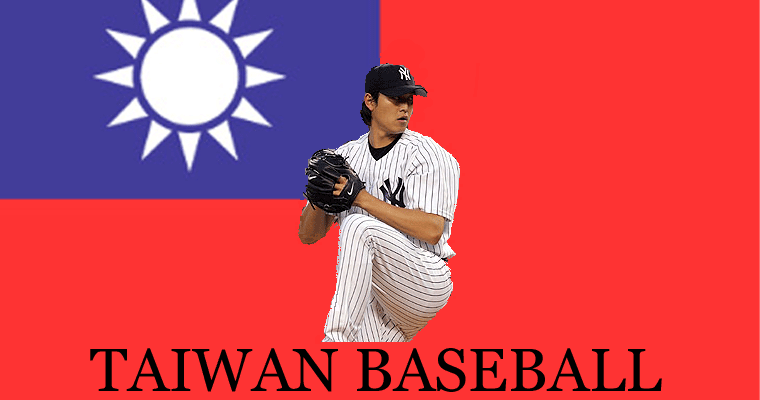 Taiwan's flag is on the right. 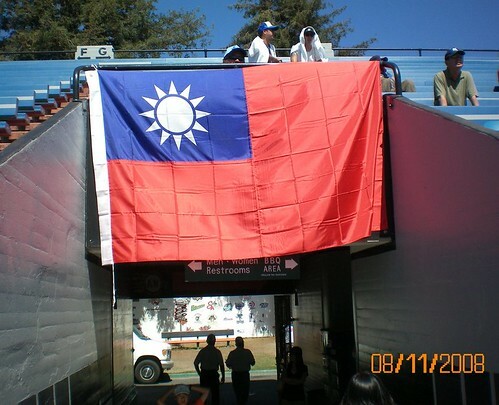 Some of the CT fans brought a huge Taiwan flag and hung it from the stadium exit behind CT's dugout. The CT fans watched the game closely. Here is CT before the final inning. 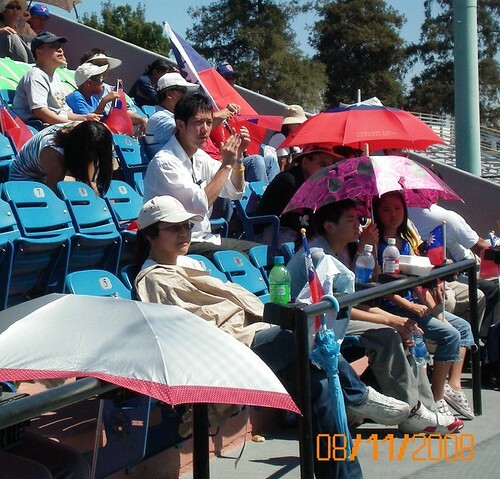 The other team from Houston, Texas won 3-14, but my family and I are happy that Chinese Taipei came to San Jose. 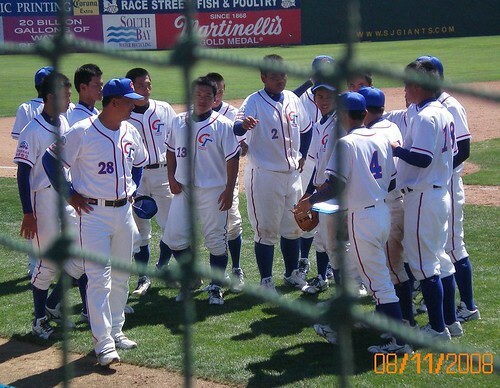 Last evening, I went to the San Jose Municipal Stadium (home of the SJ Giants) to watch Chinese Taipei in the Palomino (PONY) World Series. I sat in the boisterous CT section and learned how to cheer for the team in Taiwanese (I think). 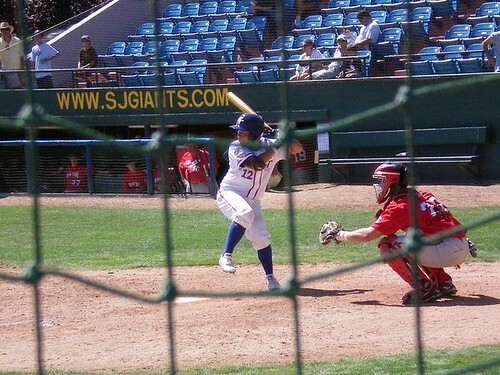 CT defeated the host team, San Jose Blaze, 5 to 3. Undefeated CT advances to the World Series game today--Monday, August 11, 1pm at the SJ Muncipal Stadium. THE SAN JOSE JAZZ FESTIVAL happens on Friday–Sunday (Aug. 8–10) at various locations in downtown San Jose. Tickets are $10 one day general admission/$25 three days/children under 12 free. For detailed information, visit www.sanjosejazz.org/festival2008. Twenty-seven hours after becoming an American Citizen, Tammy Chen can use her new US Passport to travel to outside of the United States. How was Tammy able to get her passport so quickly? The Oath Ceremony was scheduled on August 7, but Tammy was scheduled to go to Canada on August 9. Tammy's daughter immeditately made an appointment for Tammy at the San Francisco Passport . The San Francisco Passport Agency only serves customers who are traveling, or submitting their passports for foreign visas, within 14 days. To apply at the Agency, you must schedule an appointment by calling toll-free at 1-877-487-2778, 24 hours/day. If you are not traveling, or needing to submit your passport for foreign visas within 14 days, you must apply at a Passport Application Acceptance Facility. On August 8, the day after her Oath Ceremony, Tammy went to the SFPA for her appointment. Tammy gave the agent her application, fee, and 2 passport photos. The passport agent did not ask her many questions, but only checked her passport application. Then the agent gave Tammy a new passport. Tammy is overjoyed to become a US Citizen and her family is thrilled to go on vacation together. Congratulations and Bon Voyage! 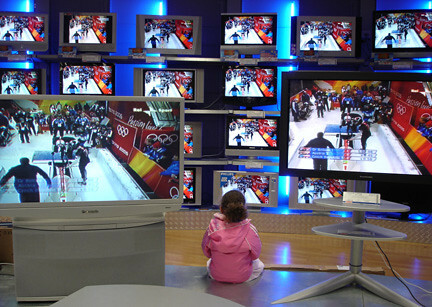 Get ready to watch the Opening Ceremonies by listening to ESL Podcast 395 – Watching the Olympic Games. Also read ESLPod's comment on the new word: Staycation. You can sing-a-long with the video, Summertime. 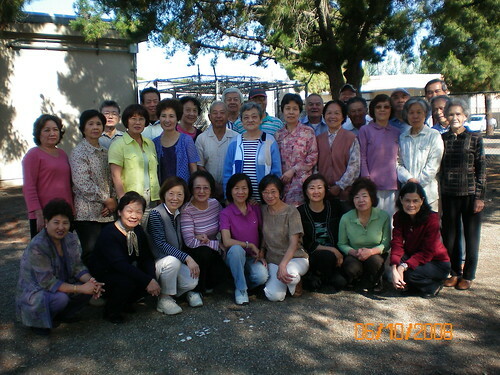 Tammy Chen is a retired elementary school teacher from Taiwan. She immigrated with her husband to the United States to live with their daughter and granddaughter. After living in the Unites States for five years, Tammy applied for US Citizenship and passed the interview. Tammy went to Taiwan for the summer to visit her family. While she was in Taiwan, she finally received her letter for the Oath Ceremony. She was very happy to receive the letter, but there was a small problem. The Oath Ceremony was on August 7 and she was going on vacation to the Canadian Rockies on August 9. She must have a passport to go to Canada. What should she do? The Palomino World Series brings the top PONY baseball teams with players 17-19 years old to compete in a 4 day tournament culminating in the championship game on the last day. 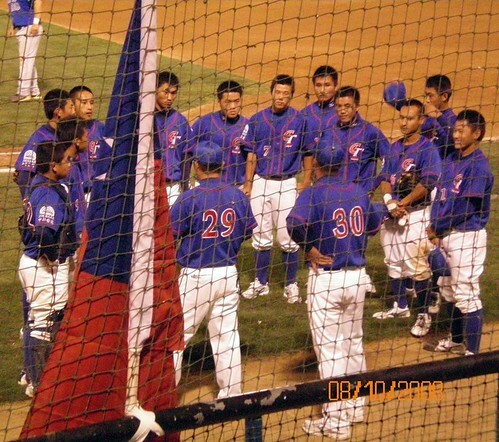 Teams come from all over the world including the USA, Chinese Taipei, Mexico and Puerto Rico. The "25th Annual National Night Out" (NNO), is a national crime/drug prevention event sponsored by the National Association of Town Watch (NATW). 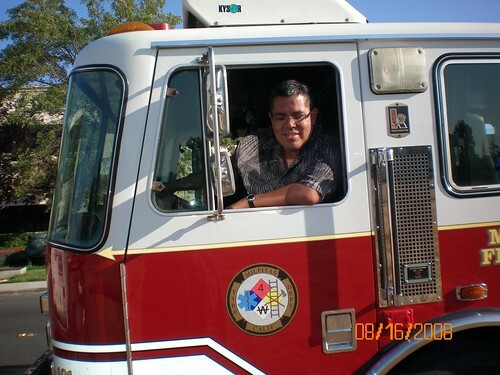 This year's NNO has been scheduled for Tuesday, August 5, 2008. National Night Out campaign sends a message to criminals--THIS IS OUR HOME! Many people show their support for NNO by turning on their porch light, sitting outside for the evening, and chatting with their neighbors and patrol officers. The Olympic Flame or Olympic Torch is a symbol of the Olympic Games. There is a special torch for each Olympics. The torch carries the flame from Greece through many cities to the current place of the Olympic Games. This year, the Olympic Games will be in Beijing, China. On August 8, 2008, 8:08pm, the torch will light the Olympic Fire in Beijing, and the Olympic Games will officially begin. You can see the different Olympic torches and listen to a short audio clip here. When move the cursor over the torch, the toch gets bigger and shows a short history about the torch. ELCivics.com has excellent ESL picture stories, slide shows, short videos, and other activities. A new way to predict earthquakes. An American study on happiness. How to prevent injuries in hospitals. Also, you can read a VOA News story about the eclipse in China. or because the moon is passing directly between the Earth and the sun. Visit Many Things Daily for a quick English review. They have: Slang of the Day, Quiz of the Day, and a link to the most recent ESL Podcasts, including VOA News Special English Brodcasts.